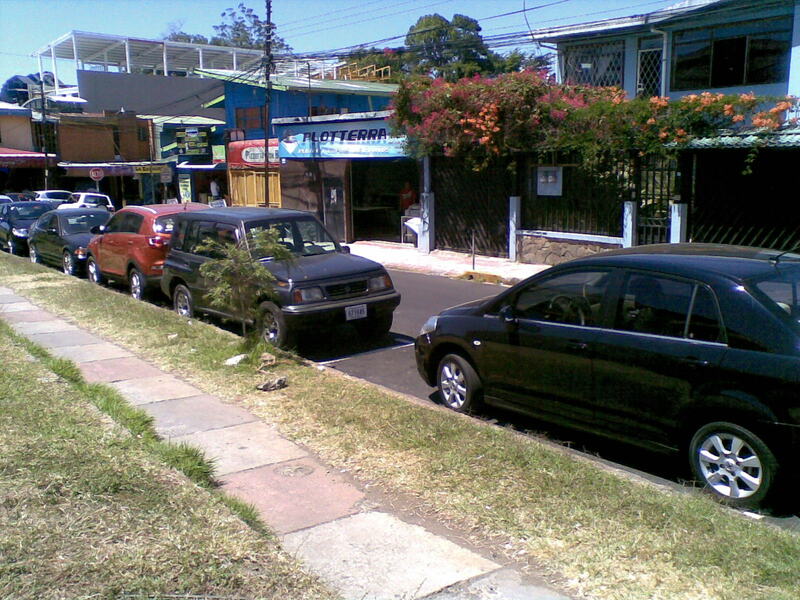 Parking in Costa Rica is an act of politics. This kid wearing a black hoodie is the lucky winner today. I’m late for my inline hockey practice and he sees I have a lot of gear to carry. I know I’m his ideal target: I have to take my time carrying everything. After I park, he walks up to me and mumbles that my car will be safe. His build is scrawny and his gestures tell me he’s addicted. He wears a reflective vest to fulfill the unestablished agreement that such wardrobe automatically makes him a protector of vehicles. We’ve come up with a name for them: guachimanes (WAH-chee-man-ess), a deteriorated derivative from watch men. 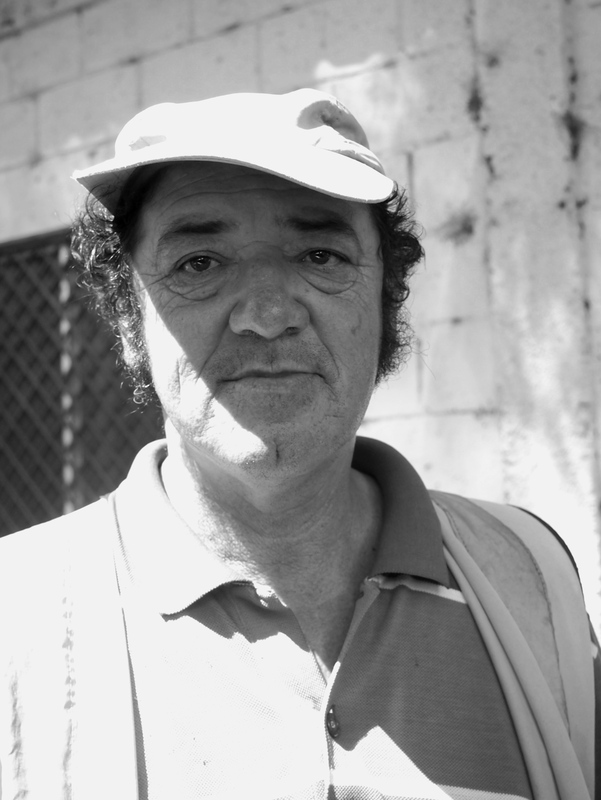 From young drug-addicts to old, crippled men, from burly women to make-up ridden transvestites, the streets in Costa Rica are filled with people that promise to take care of my car. Every time I park I know I face the potential comment: “it’s well taken care of, machillo”. There’s little I can do to avoid their presence. For example, I could avoid paying him after my training and this carries along risks: he could take notice of my license plate for next time when, just by happenstance, some crook is walking past it and finds something appetizing inside. This is how the simple act of parking has become political. Chances are he’s going to leave it to destiny until he sees me return. It’s frequent that after spotting me returning, to see them rushing from their spots some fifty yards away, where they could’ve done little to prevent damage to my car. Yet this is his terrain, not mine (though the street is public). They know who walks these streets and when. Should another criminal come near, he can tell him or her to venture near or far my car. And it all depends on whether I pay him or not. So we Costa Ricans base ourselves in the law of probability and resignation. I must establish a silent relationship. I can’t promise that I will pay when I return yet if I lay the conditional for him—I pay when I see my car intact—the chances of this happening are higher, slightly so. I must never disrespect him nor ignore him. But yielding to his demands beforehand can render my car a victim. And, afterwards, if I pay him and there are plenty of other cars, by simple statistics my car is safer. That’s how much my car’s integrity is worth: 2$. Though people rarely pay two bucks. I know that and he knows that. That’s exactly why he asks for 2$ so he can get about 1$. Our 500 colones coin (roughly 1$) has become an ideal payment. It might seem scarce. But with just 2$ some of these guachimanes can earn up to 2000$ per month. They have locations and events already defined: the veterans control the main streets and rent them to lower members of the chains. Funerals, stadiums, theaters, sporting events and pretty much any major event that requires that we park outside are highly sought after. Some even dare charge up to 6$ knowing that people will mindlessly pay them. For me, it’s a Sunday at La Sabana Park. The weekend warriors flock there to work out and crowd the streets around. He spots me from the distance and rushes to help me load my equipment in the car. He does little, only holding the door. The days have been rough, he says, too slow and rainy season has begun. That’s less people on the streets for him. Again, I just nod. Picture from Quien Paga Manda. Guachimanes usually cover these streets. He leans close to my window, which I keep closed. I scan my car knowing that I better have change. I come here every Sunday and he knows that. In the cup-holder I spot about 80 cents (400 colones). He’s resting on the rearview mirror. I start the car and inch my way towards the street—if I pay before I enter my car, he’s off to find some other driver and won’t help me with pulling out of the curb. I roll the window down and hand him the coins. He thanks me as he rushes. A Mercedes Benz is leaving. It could mean 1$, 2$ or even 4$ dollars. Another car, another income and another Sunday. Powerful story. And well written. Bravo.